SAN FRANCISCO - A woman took to Facebook to report being attacked for wearing Google Glass at a bar Friday night, according to CBS San Francisco. Sarah Slocum, a technology writer, said she was at Molotov’s in San Francisco’s Haight-Ashbury neighborhood. She was showing someone how the high-tech headset works when two women confronted her, Slocum wrote on her Facebook page. Then, a man allegedly ripped the glasses off of her face. “OMG so you’ll never believe this but… I got verbally and physically assaulted and robbed last night in the city, had things thrown at me because of some ---- Google Glass haters,” Slocum posted to Facebook. Slocum said she recovered the Google Glass, and the video on the device that shows the man ripping the glasses off her face, from the assailant. However, her purse and phone – which she says were also stolen – have not been found. According to witnesses, some people at the bar were upset about possibly being recorded by the glasses. Brian Lester, who was at the bar Friday night, said he saw a man insult Slocum outside the bar. Then, another man, who was accompanying Slocum, started a fight with the man who insulted her. Slocum received sympathy and support about the ordeal from friends posting on her Facebook page. 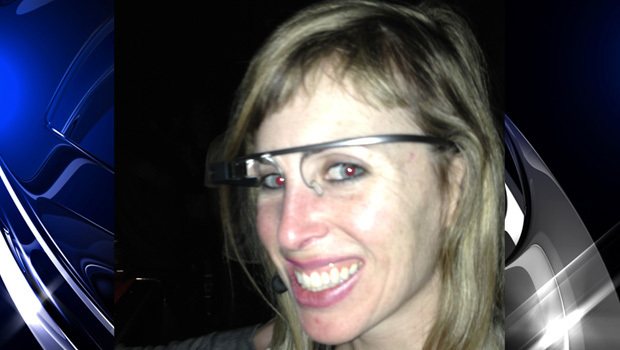 Google recently sent out a list of do's and don't for Google Glass wearers on ways to use the headset. Slocum declined an interview request by CBS San Francisco.